Along time ago in the Milky Way Galaxy, Chris McKay, Penelope Boston, and Carol Stoker were on Planet Earth contemplating all things Mars. These three scientists, graduate students at the University of Colorado, decided to form a group called the Mars Underground and hold annual meetings to explore the science behind putting humans on Mars. 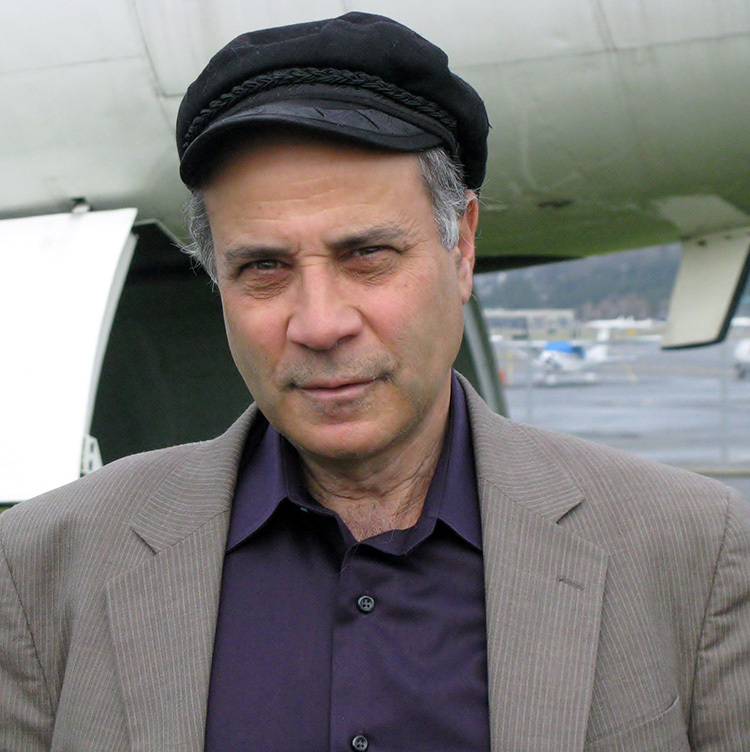 One day, Robert Zubrin, an aerospace engineer, attended a meeting of the Mars Underground and was inspired to start the Mars Society. In 1998 the Mars Society was officially formed as a non-profit organization whose goals include the human exploration and settlement of Mars. The thought of one day standing on the Red Planet and looking out over the landscape may be beyond the imagination of some, but not to the members and friends of the Mars Society. We at the Mars Society believe that “it takes a village,” and we are utilizing that concept to send humans to the Red Planet. As an entirely volunteer organization, we have accomplished many great things since our inception. The goal is simple – explore and send humans to Mars. The time has come for humanity to journey to the planet Mars. We’re ready. Though Mars is distant, we are far better prepared today to send humans to the Red Planet than we were to travel to the Moon at the commencement of the space age. Given the will, we could have our first crews on Mars within a decade. We must go for the challenge. Civilizations, like people, thrive on challenge and decay without it. The time is past for human societies to use war as a driving stress for technological progress. As the world moves towards unity, we must join together, not in mutual passivity, but in common enterprise, facing outward to embrace a greater and nobler challenge than that which we previously posed to each other. Pioneering Mars will provide such a challenge. Furthermore, a cooperative international exploration of Mars would serve as an example of how the same joint-action could work on Earth in other ventures. We must go for the youth. The spirit of youth demands adventure. A humans to Mars program would challenge young people everywhere to develop their minds to participate in the pioneering of a new world. If a Mars program were to inspire just a single extra percent of today’s youth to scientific educations, the net result would be tens of millions more scientists, engineers, inventors, medical researchers and doctors. These people will make innovations that create new industries, find new medical cures, increase income, and benefit the world in innumerable ways to provide a return that will utterly dwarf the expenditures of the Mars program. We must go for our humanity. Human beings are more than merely another kind of animal, we are life’s messenger. Alone of the creatures of the Earth, we have the ability to continue the work of creation by bringing life to Mars, and Mars to life. In doing so, we shall make a profound statement as to the precious worth of the human race and every member of it. 2013 Mars Pioneer Award recipient and convention banquet keynote speaker Dr. Steve Squyres. Becoming a space faring civilization is the goal of millions of other Earthlings as well. If one pays attention to the universe around him, it is impossible to deny its ability to cause breathtaking humility. We long to explore, to expand, to go out and touch a piece of another planetary body. This longing is what encouraged NASA and their supporters to stand behind the Apollo missions to the Moon. President John F. Kennedy said, “We choose to go to the Moon not because it is easy but because it is hard.” We need to find that will again. The interest in going out and exploring and settling Mars is obvious. One indication is the fact that when the Mars One project opened applications for a trip to Mars, there were 78,000 applicants in just two weeks. Other clues are the sheer number of private organizations that are being created dedicated to human Mars exploration. Inspiration Mars is one example. Its founder, Dennis Tito, believes so wholeheartedly in a humans-to-Mars mission that he is funding the first two years of the project himself. So, how do we expect to accomplish this? The Mars Society is involved in many projects, including but not limited to holding annual conventions, the establishment of an Education Task Force for public outreach, the 2013 STEM Education Event at the annual convention, maintaining websites, Red Planet Pen (a biweekly educational blog), Red Planet Radio (a monthly podcast), a speakers bureau, the University Rover Challenge, the new Youth Rover Challenge, and Mars analog research. The Mars Society has two analog research stations: the Mars Desert Research Station (MDRS) and the Flashline Mars Arctic Research Station (FMARS). Analog Research Stations are laboratories for learning how to live and work on another planet. Each is a prototype of a habitat that will land humans on Mars and serve as their main base for months of exploration in the harsh Martian environment. Such a habitat represents a key element in current human Mars mission planning. The Mars Society recently established an Education Task Force in order to reach out to teachers, students and Mars enthusiasts in general. The intended goal is to bring a comprehensive Mars curriculum to the general public, as well as hosting STEM activities and events that are based on the Mars Society’s mission: Human exploration and settlement of the planet Mars. Humans are going to Mars. When we do it, it is important that everyone will understand our new home. Nicole Willett is the Education Director for The Mars Society. Along with Deputy Director of Education, Chuck McMurray, the education website is maintained and updated regularly. This website includes a bi-weekly blog, the Red Planet Pen, news and updates, links for teachers and students, a video library, a reading list, and much more. Part of our outreach includes hosting events in person or via the internet. If you would like to have a personalized event at your school or organization please contact us. The Mars Society held its 16th Annual International Mars Society Convention on the campus of the University of Colorado in Boulder from August 15-18, 2013. The annual four-day event consisted of key experts, scientists, journalists and policy-makers to discuss the latest news on Mars exploration and efforts to promote a humans-to-Mars mission in the coming years. Many notable speakers gave presen-tations, including Dr. Robert Zubrin, President and Founder of the Mars Society, Dennis Tito, Inspiration Mars, Dr. Mark Geyer, NASA’s Orion mission, and our keynote speaker Dr. Steve Squyres, Mars Exploration Rover Prin-cipal Investigator. Because the Mars Society is dedicated to the human exploration and settlement of Mars, we promote educational outreach in STEM subjects. At the convention in Boulder, we hosted a special 2013 STEM Education Event. The one day program was free of charge for children through the age of 18. Participating children were also welcome to attend other lectures and discussions during the international convention. The 2013 STEM Education Event included a variety of interactive activities, presentations, and special guest speakers for the children. Chris Nie from CUSEDS hosted interactive programs, such as alka-seltzer rockets to Mars, making Mars craters, digging for a Martian fossil, yummy Mars-mallows and others. The Mars Foundation was on hand to give a 3-D printing demonstration on how we could build habitats on the Red Planet in the near future. Deputy Director, Chuck McMurray launched the Youth Rover Challenge to the public. Also, Mars Society President, Dr. Robert Zubrin, addressed the audience about the importance of Mars education. Please visit marssociety.org for more information or volunteer opportunities. 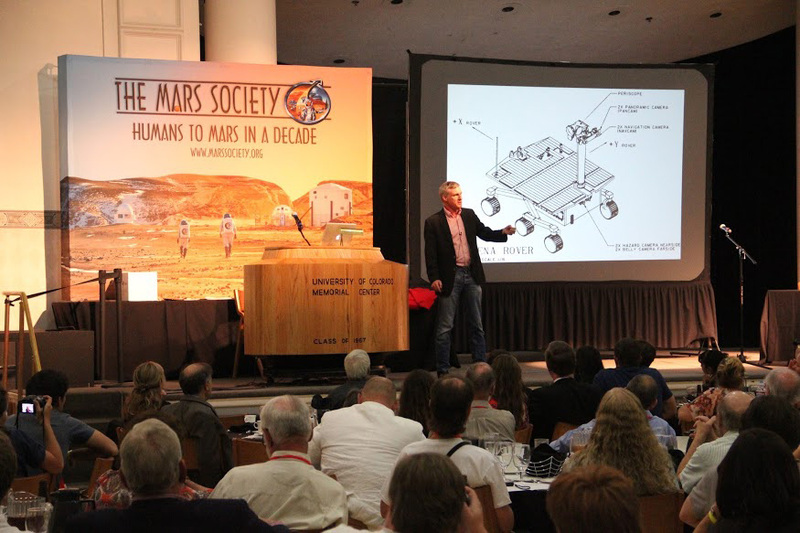 Visit the Mars Society’s YouTube Channel to watch all of the plenary talks and keynote speaker, Dr. Steve Squyres, from the 16th Annual Mars Society Convention. If you would like to get involved with STEM outreach for the Mars Society, contact nicolew@marssociety.org. This article appeared in the November 2013 issue of RocketSTEM. In 8th grade I got my first Astronomy book from the library, in 10th grade I read a National Geographic article titled, "Mission to Mars," and when I was in college I saw the 25th Anniversary Star Trek Special which celebrated the technological advancements of scinece inspired by the original series. I was blown away by the scientists in the Star Trek special and immediately registered for my first Astronomy class and I never looked back. I am a high school Astronomy teacher at Benedictine Military School in Savannah, Ga. as well as the Education Director for The Mars Society. It’s a bird! It’s a plane! No…it’s a spaceplane!